Denzel Washington is sixty-three years-old and will be sixty-four this coming December. I can recall taking note of this fact when writing about the first Equalizer film when Washington was about to turn sixty and how impressive it seemed that the guy had no intentions of slowing down. In the interim between that 2014 film and what is the first sequel one of the world's most charismatic actors has agreed to be a part of, Mr. Washington has still shown no signs of slowing down. Since The Equalizer Washington has already paired with director Antoine Fuqua (Training Day) again prior to this latest entry with their remake of The Magnificent Seven which I found to be immensely entertaining as well as having adapted, starred in, and directed August Wilson's seminal piece of work in Fences for which he was shrouded in awards love. And again last year, the actor earned another Best Actor nomination for his work in Dan Gilroy's quirky, but largely effective Roman J. Israel, Esq. (which I probably liked more than you). The point being, each of these gave Washington the chance to continue to do what he loves as he flexed a different muscle in regard to each respective project, but the choice to return to the character of Robert McCall among every character Washington has played is a curious one. I enjoyed The Equalizer upon initial release and was happy to find it wasn't simply another case of an aging star attempting to cash in on the Liam Neeson-proven method of combining a once valuable name on the poster above a newfangled action-centric conflict. Of course, Washington was never relegated to being a star whose name ever lost any value. Denzel is Denzel and no matter what he does people typically turn out in fair enough numbers to justify his mid-range action projects and awards contenders. In fact, since 2009 (which accounts for Washington's last ten films), the star has never seen less than a $50 million lifetime gross with the exception of Israel last year with seven of those ten releases doing over $70 million worth of business during their theatrical runs. Denzel, the man, is typically all the brand recognition that is required and so it feels weird that Washington has been brought into this fold of sequels and franchises. Maybe it's just the first time someone has offered the actor a follow-up to one of his projects or maybe it's just a sign of the times. Whatever the case may be, The Equalizer 2 isn't exactly what one might hope for in a "first" from Denzel Washington, but more it plays into what the first did more to subvert in not being your by-the-numbers action flick as this sequel, with nowhere else to go, had no choice but to surrender to the trend. 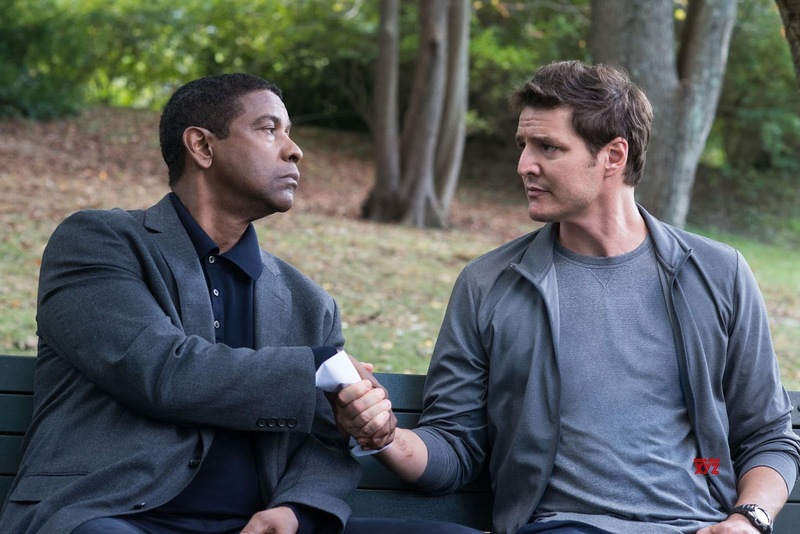 Robert McCall (Denzel Washington) reunites with former partner Dave York (Pedro Pascal) in The Equalizer 2. 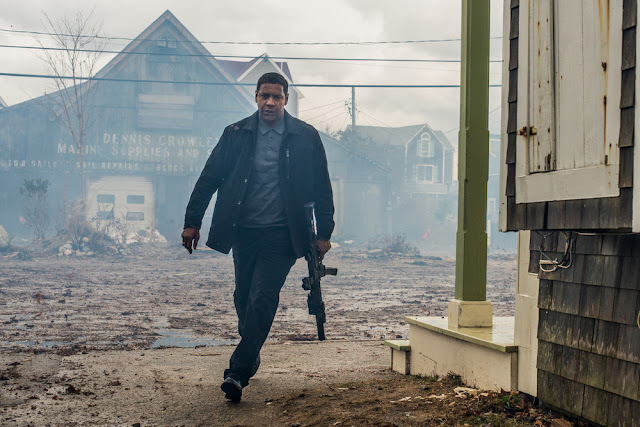 The Equalizer 2 begins by luring the unknowing audience into what will turn out to be the most interesting mission Washington's Robert McCall goes on in the film. This deals with some Turkish thugs on a train who have kidnapped their ringleader's daughter from the U.S. for no other reason than to be vindictive against the mother who was left with little else when this guy up and left. It's some pretty odd circumstances, granted, but Fuqua shoots the action in a way that Washington never shows his age and better-we completely believe McCall via Washington's physicality, is able to accomplish what the script lays out for him to accomplish. 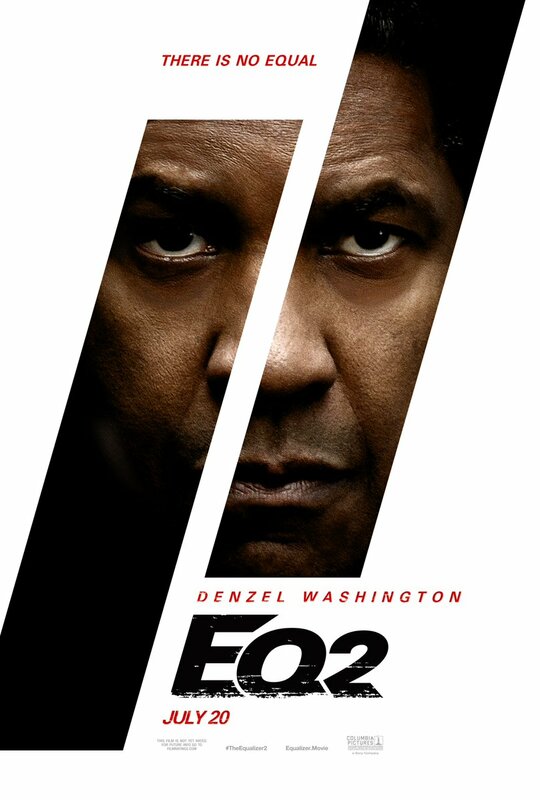 In short, if The Equalizer 2 is good for anything it is to say that, for Denzel Washington, age is indeed nothing but a number. From here, the film takes us back to Boston where Fuqua and his editor cobble together a mirage of what seem to be shots of the cityscape as if taken from any one of the many nineties procedurals that no doubt featured these exact same shots as if to make us aware of the exact type of movie we're in for. One might think that after the opening action sequence taking place abroad and then the film returning to Boston to catch us up on the day to day of McCall the film would eventually come to be about the murder of an undercover operative in Belgium as this is what we're given next in the movies sequence of events. It never does. In fact, McCall never again leaves the country despite the aforementioned opening sequence seeming to imply the type of work the character is now taking on. Rather, McCall resigns to his day job as a Lyft driver (yes, you read that right) only picking his cases from the conflicts of those he comes into contact with during these shifts. How does our man in Belgium come back into the picture then, you ask? Well, that would be when McCall's former supervisor and the only other person in the world who knows who he was in his former life, Susan Plummer (Melissa Leo), comes back into the picture and begins investigating the Belgium incident with the help of McCall's former partner of seven years, Dave York (Pedro Pascal). When Susan and Dave travel to Belgium to investigate the murder of one of their own, but only one of them returns McCall takes it upon himself to get to the bottom of what happened and exact revenge on those who are behind it. There's also several extraneous subplots dealing with an elderly man (Orson Bean) who is searching for his long-lost sister, and a paternal relationship McCall strikes up with a young resident who lives in his building as played by Moonlight's Ashton Sanders. Denzel is back for more equalizing in his first-ever sequel. Both Fuqua and his movies are well-oiled machines in that they're relentless, sturdily storied, and well put-together, but more often than not neither to offer the depth they seem so capable of producing. The Equalizer 2 feels like the epitome of this as Fuqua's films tend to at least have some redeeming entertainment value most of the time. Largely an exercise in going through the motions though, The Equalizer 2 leaves the audience to wonder what half of the subplots might have to do with the main narrative in which half of those that seemingly have nothing to do with the main story in fact do not while your standard themes of redemption, virtue, and the promise of exploration into good versus evil being too simple an idea to blanket the society of today abound with no real substance. There was a moment in the film where it seemed Wenk might take the opportunity to say something really interesting or at least begin to navigate his way through tricky terrain that dealt in the difficulties of trying to leave a gang without any lasting repercussions, but while this moment in the movie where McCall rescues Miles from what is essentially preparation for his initiation into a gang hints at as much it seems McCall's actions were enough to convince the gang that Miles wasn't worth the trouble. Fair enough given how much McCall roughed up a couple of the guys, but rather than utilizing this strand as a way to say something more profound Wenk instead only utilizes Miles as a plot device the antagonist can use against McCall in the final act. Speaking of that antagonist, I suppose it's a spoiler to say who it is exactly despite the fact it's terribly telegraphed fairly early on. I'll just say that if you've seen Kingsman: The Golden Circle you might get a sense of where this is going before it does. As for the supporting players Leo is fine, Bill Pullman is wasted as is Sakina Jaffrey, while it seems uncertain at this point what it is Pascal can bring to the table that a handful of other aspiring actors couldn't. His interpretation of the co-lead here is bland and completely deprived of any humanity as it shows him in a picturesque setting with his family in one scene and then passively gunning down a seemingly innocent individual in another. And if you were at least hoping for a climactic action sequence that matched if not exceeded the warehouse set piece in the first film you'll be sorely disappointed to find out The Equalizer 2 spends intermittent moments of its running time telling us a storm is brewing for no other reason than to set its climax in an evacuated town where McCall and those who oppose him run amok and the main antagonist remains perched atop a building. Of note is the fact this is one of the uglier looking Fuqua films I think I've ever seen, but there is one shot of Washington, wearing all black, as he runs in between buildings and through the rain and wind in that climactic action set piece where for a brief moment he almost looks like the caped crusader. It lends a fleeting sense of what could have been. I understand Washington wanting to have his own super hero alter ego and God knows he deserves it at this point in his career, but early on in the film his McCall talks about there being two types of pain in this world: the pain that hurts and the pain that alters. The Equalizer 2 is largely painful to watch and most of the time it just hurts.